The Second Amendment to the United States Constitution protects the right of the people to keep and bear arms and was adopted on December 15, 1791, as part of the first ten amendments contained in the Bill of Rights. Although this amendment was necessary and effective in 1791, I believe that this gun control law is outdated and needs to be updated. I believe that by changing these laws I can help stop the violence that occurs in our nation almost every day. 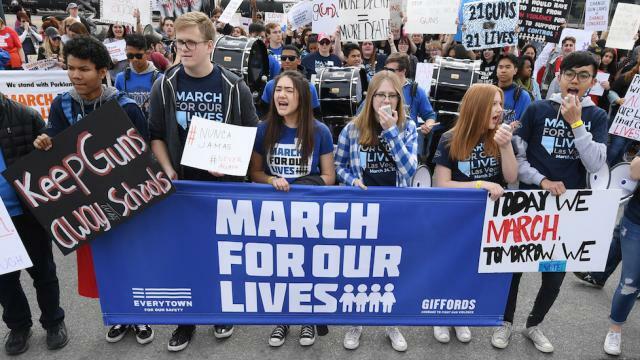 At first, I wondered, ”What can a fourteen-year-old girl like me living in a small, sheltered town of Hopedale do to prevent gun violence?” After attending the “March for Our Lives” rally on March 24 I now feel empowered and realize there is a lot I can do save innocent lives. First of all, I will use my voice at future rallies, in school and at local government events. Recently, I wrote a letter explaining my views and frustrations with the Second Amendment and the NRA to Senator Elizabeth Warren and I plan to write to other government officials. Some immediate changes that I can encourage our government officials to make would be to raise the age to purchase a gun from 18 to 21 and require stricter background checks and psychological evaluations for anyone wishing to buy a weapon. Assault weapons should be totally banned. In a few years I will be able to vote and I will vote against politicians who do not support gun control and are affiliated with the NRA. Enough is Enough!